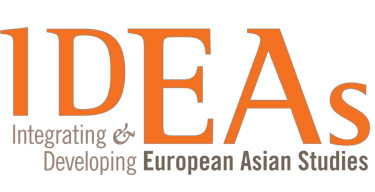 Launched on 1 January 2010, the FP7-funded project "Integrating and Developing European Asian Studies" (IDEAS), came to a close at the end of June 2012. IDEAS, which is a ‘Co-ordination and Support Action' in the Research and Innovation Directorate's SSH Programme, has promoted increased collaboration between Asian Studies researchers and institutions in Europe, and the development of links between policy-makers and the academic community in this field. Working in close collaboration with the European Consortium for Asian Field Study (ECAF), which comprises 45 leading universities and third level institutions throughout the EU, IDEAS carried out an assessment of the network of 23 European-owned field centres in Asia with a view to optimizing their future use on the level of Europe. The ECAF centres have now agreed to commit to a plan for convergence as outlined in the IDEAS "Vision Statement", and the ongoing drive to share infrastructure has, thus far, resulted in the creation of a British Academy fellowship programme and three institutional partnerships (EFEO-University of Hamburg in Beijing, EFEO-ISEAS in Kyoto, and EFEO-AFD in Ho Chi Minh City). In 2012-2013, ECAF, which is in the process of taking on the status of an autonomous legal entity (Public Interest Group), is to be transformed into a durable European infrastructure. With an enhanced capacity to raise funds for joint initiatives, ECAF will be better equipped to pursue the IDEAS project goals of developing access to field research facilities in Asia, fostering institutional partnerships based on joint interdisciplinary research programmes and resource pooling, and promoting the mobility of students and faculty between Europe and Asia. In their bid to develop links between policy makers and the academic community, the IDEAS consortium organized a series of events both in Europe and Asia, including international conferences, roundtables and technical seminars, which brought together a wide range of experts in the spheres of academia, civil society, government, and diplomacy. The results of these meetings are described at length in the project's Final report (soon to be made available on the IDEAS website). In highlighting the potential synergies between humanities-oriented area studies and diplomacy, IDEAS has not only positively contributed to raising the profile of SSH research in Asian studies and its role in the promotion of intercultural understanding but has also paved the way for innovative working relationships between EU diplomats and the research community. The Final report concludes with a set of recommendations to strengthen cooperation between policy-makers and Asian studies scholars, and for the continued development of Europe's knowledge base on Asia. At a time when Europe and European-Asian relations are evolving rapidly, the drive to achieve both of these objectives has the potential to make a significant contribution to the future of the EU.